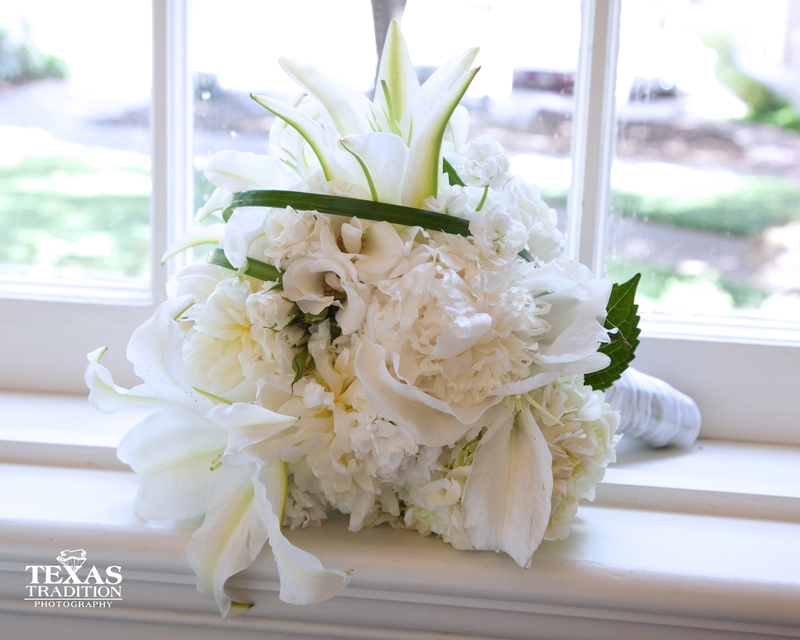 A Winning Combination- How amazing Dallas wedding photography and great Dallas vendors create a magnificent Dallas wedding! When we first met Ashley and Jake it was obvious how excited they were to be engaged. There was NO doubt that they were in love! That level of excitement and love carried through their entire wedding day. They couldn’t stop smiling! Their endless smiling wasn’t the only reason we love this couple so much. The wedding was at Perkins Chapel. 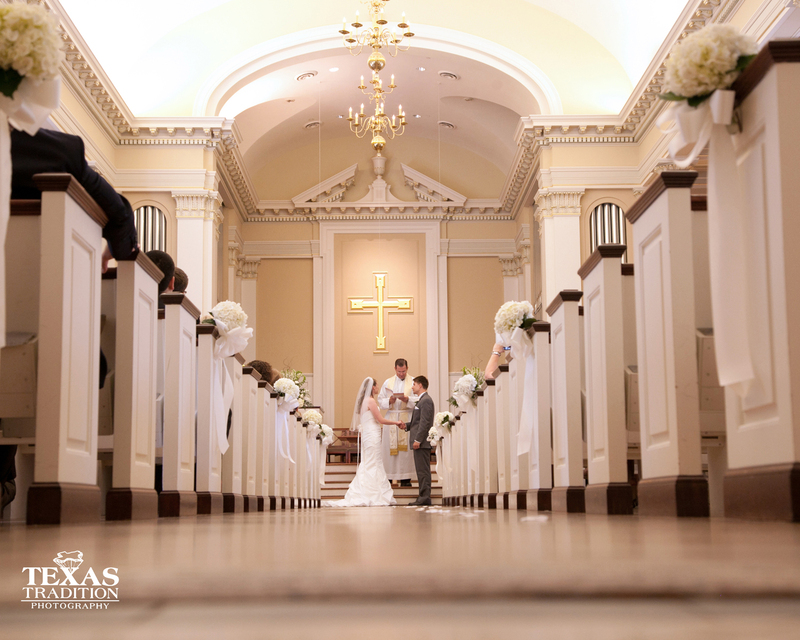 Perkins Chapel is one of my all time favorite wedding venues! Perkins is beautiful, and it has endless places for photography. 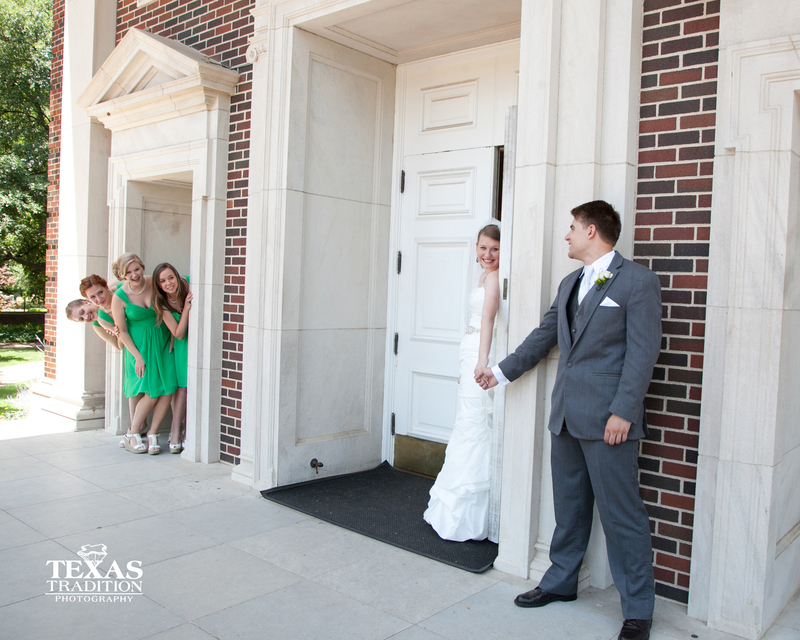 Ashley and Jake decided to do our version of a “first look”. A normal “first look” is when a couple sees each other before the bride walks down the aisle. For our “first look”, Ashley and Jake didn’t actually SEE each other. 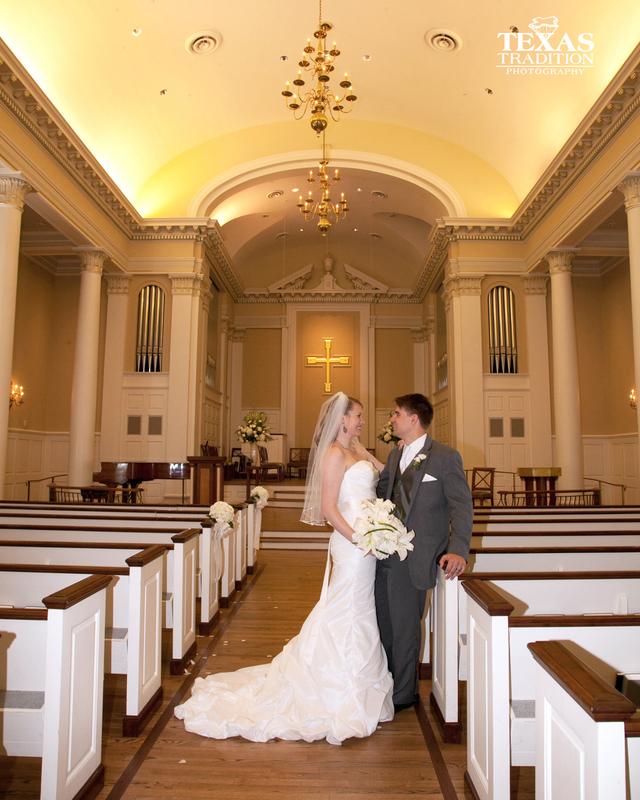 Ashley and Jake talked quietly around a corner to one another right before the wedding. Ashley was having a hard time keeping it together, everything that Jake was saying was so sweet! The bridesmaids kept inching closer to hear what the couple was saying to one another. 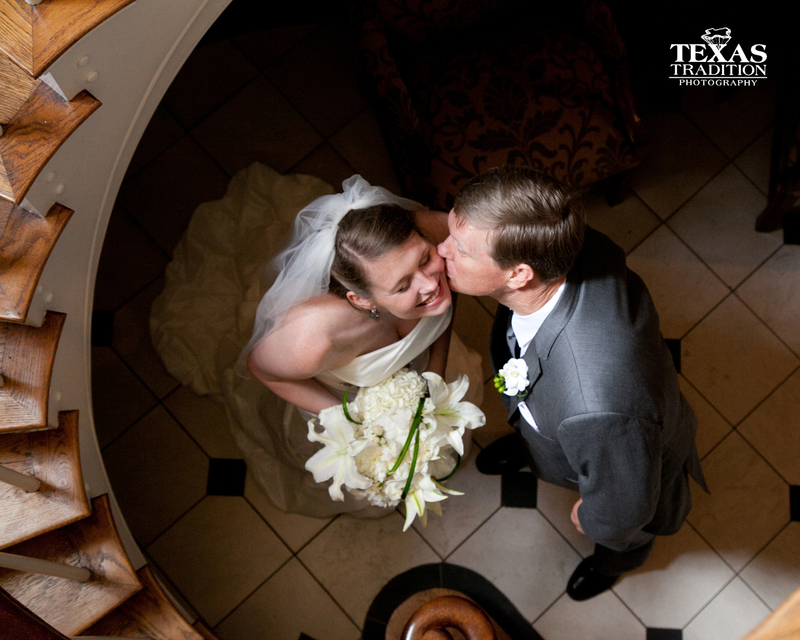 Ashley went back downstairs with her dad until it was time to walk down the aisle. When he didn’t think anyone was looking Ashley’s dad gave her one last kiss! It was time for Ashley to walk down the aisle and marry Jake! 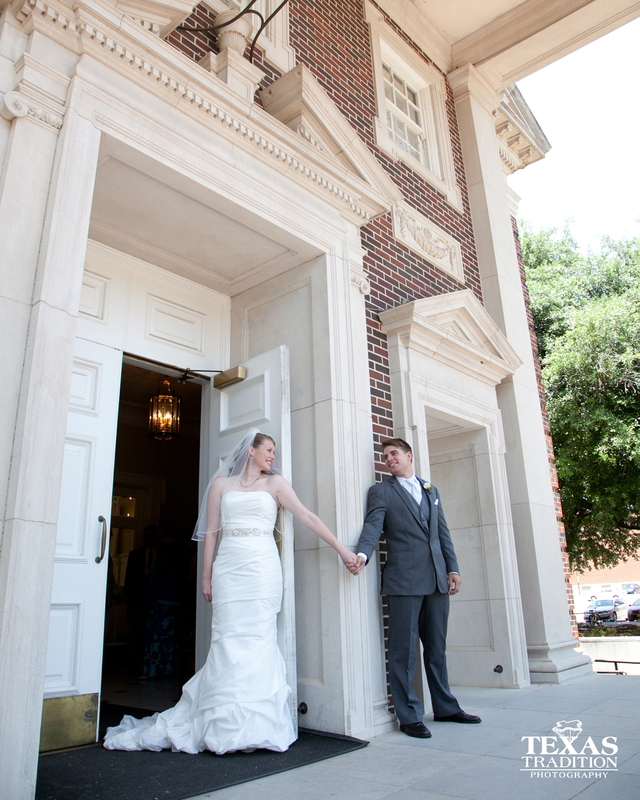 The ceremony was beautiful and Perkins Chapel was filled with sunlight! After Ashley and Jake said “I do!”, we took a few minutes for some romantic images. This is our favorite! You can see how happy they are to have just gotten married! Plus Ashley’s dress and bouquet look fantastic. The talented Kevin May of May Flowers and Gifts created Ashley’s amazing bouquet, along with the bridesmaids bouquets, and all the boutineers. We love working with Kevin. Her work is always beautiful and extremely creative. 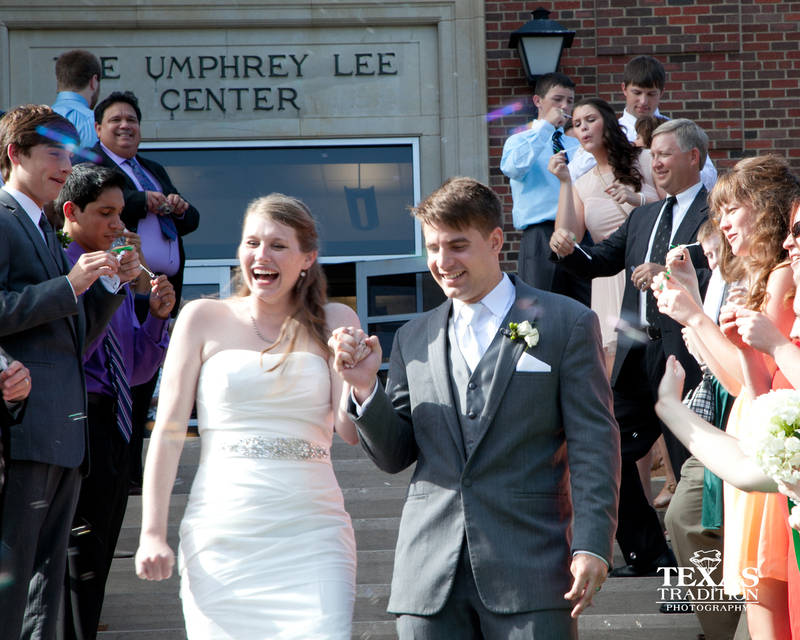 After our formal portraits, it was time for Ashley and Jake to join their guests at the reception in the Umphrey Lee Center just a short walk from Perkins. 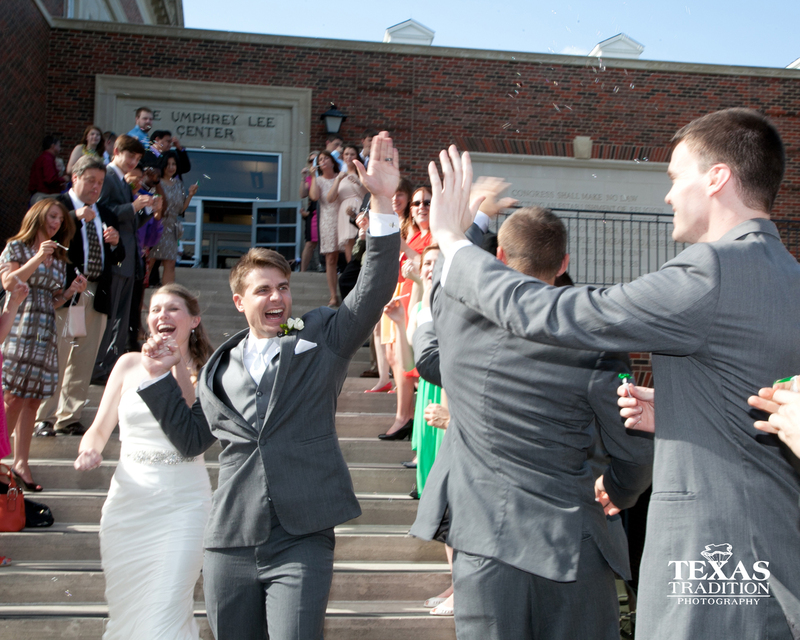 Jake and his groomsmen had lined the sidewalk with balloons earlier that day. This made it a festive walk to the reception. 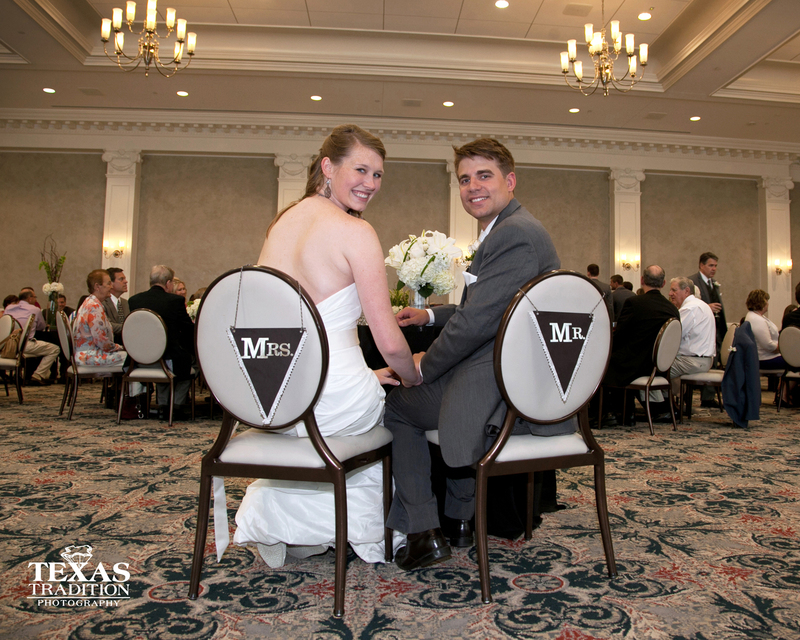 We LOVED the Mr. and Mrs. signs Ashley and Jake had! 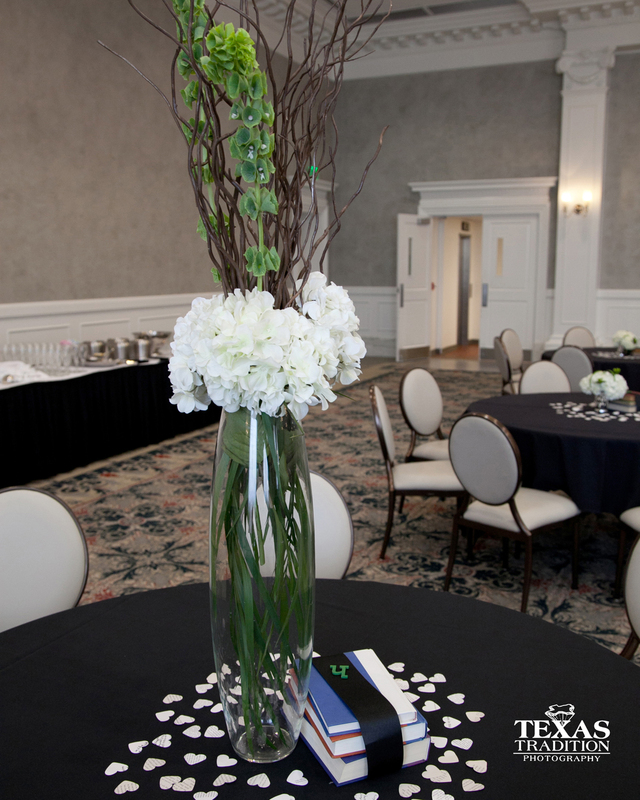 May Flowers and Gifts also created the centerpieces for the reception. Ashley wanted to incorporate some old books into her decor. Kevin came up with the perfect way to do that. 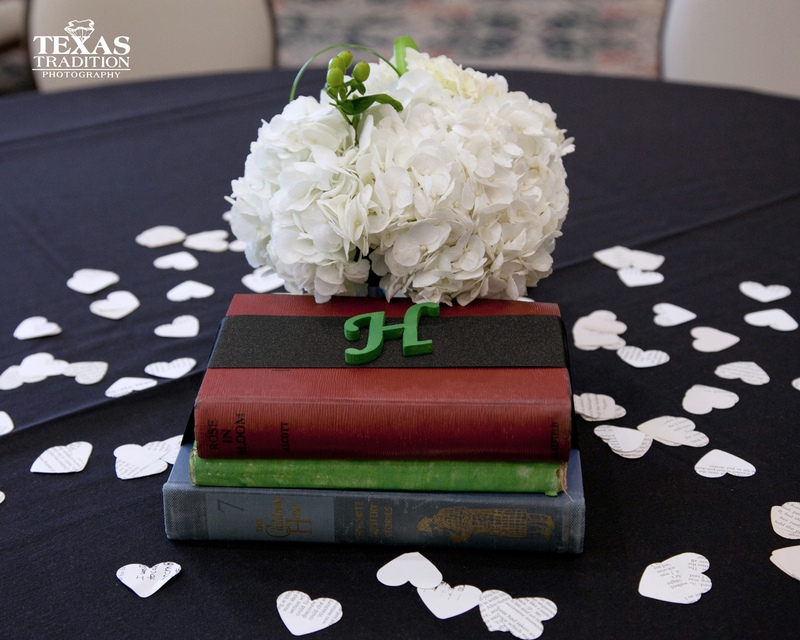 Each table had a stack of books, hearts made out of book pages, and a floral arrangement. Kevin did a mix of tall and short florals to give the room more dimension. Harvey, with Meringue Bakery made the fantastic cakes. Not only did it look beautiful, but the guests were raving about it! Ashley and Jake’s guests blew bubbles as the couple made their way to their getaway vehicle. 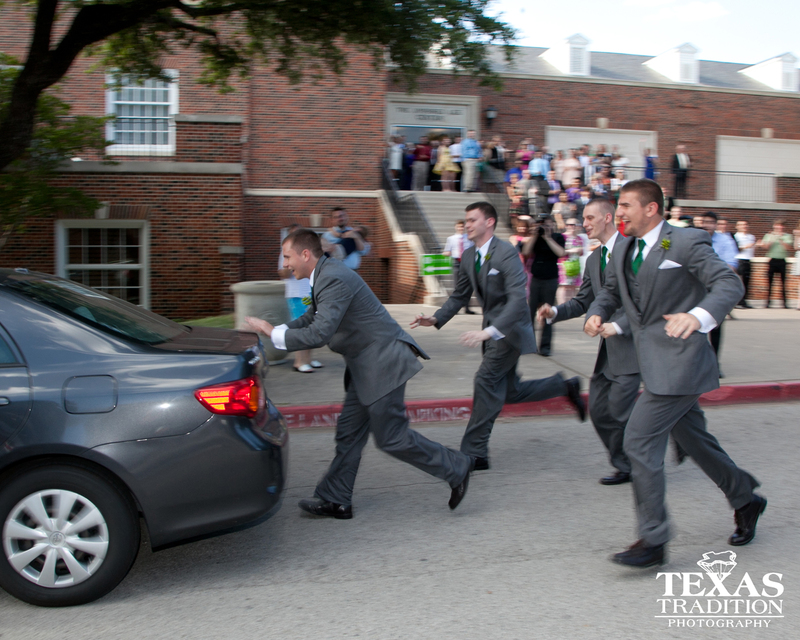 And for good measure the groomsmen chased Ashley and Jake down the street! 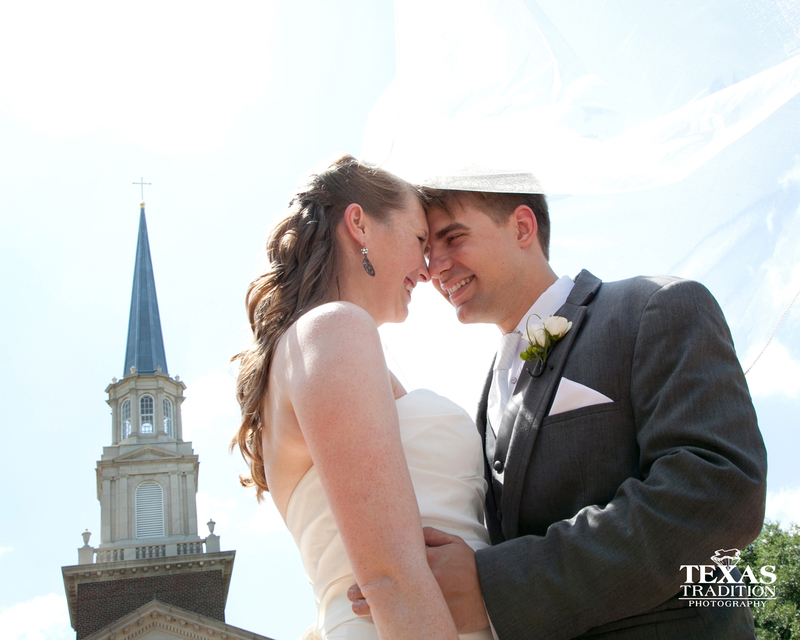 We loved being invited to photograph Ashley and Jake’s wedding. 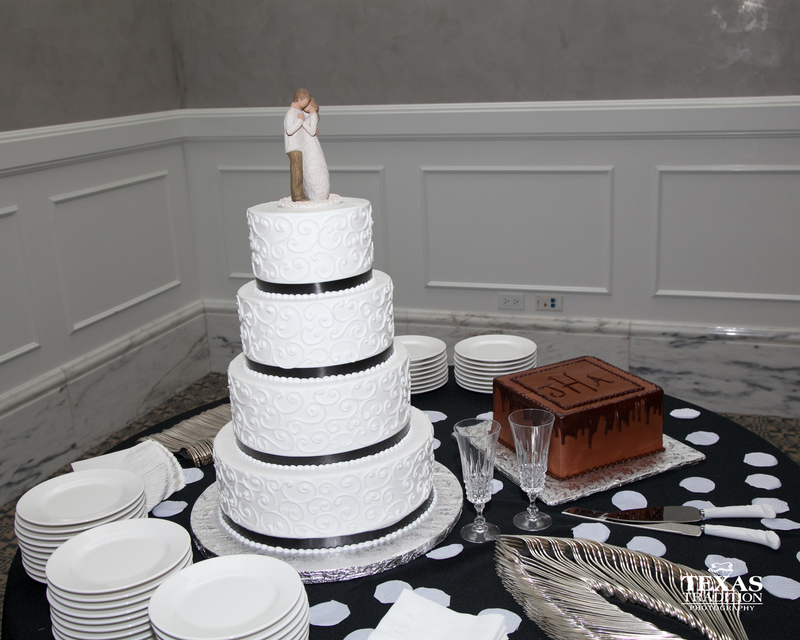 They chose a great location, a fantastic florist, and an awesome bakery for the cake. With these choices Ashley and Jake enhanced not only their wedding images, but the memories they are going to have of this special day.